Working late can be tough. 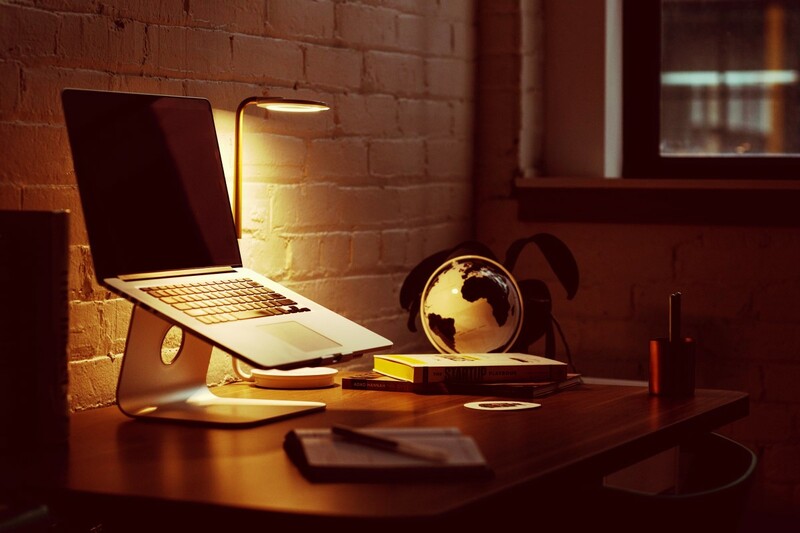 Working late to catch up on project deadlines, to please a demanding client, or to clock in extra hours because you need the pay makes it even harder. However, sometimes there are things we just have to do, and we have to plow through them. Here are several survival tips that will help you conquer the graveyard shift. All the way back in 2014, Contently revealed how researchers from University of Maryland and University of Toronto analyzed a decade’s worth of research about goal effectiveness (and its difficulty). They discovered that the more difficult and specific the goal was, the higher performance the participants had. In order to have high performance, though, you’ve got to know what your goals actually are. The physical act of writing down those goals “shows you” those goals, letting you visualize them, and cements them in your mind. During your shift, turn on a lightbox that’s designed to treat Seasonal Affective Disorder. Keeping this lightbox near your workstation will be sure to keep you up. Turn off the box by 4 or 5 AM, though. Otherwise, you’ll keep yourself up later and make yourself unable to fall asleep when you go home. When you know your shift is going to be late, don’t stay up late the night before. Likewise, don’t sleep all day so you can stay up all night. This just throws off your sleep schedule; you’ll end up paying for it the day after your shift. Instead, during the day take many 5- to 10-minute breaks. Frequent breaks cause us to “step back” from the workload, allowing us to improve our focus and will to do the work. Going for a walk around the neighborhood for an afternoon stroll or meditating works wonders, too, as do short naps. After the day is done and the graveyard shift begins, it’s time switch from naps to caffeine, in the form of either coffee or tea. Be careful, though: Caffeine stays in our systems for up to 6 hours or more. So be sure to limit the amount of coffee or tea you drink; 2 to 4 cups should do the trick. As a matter of fact, if you drink too much, you may actually reverse the effects and end up making yourself feel tired more quickly. Also, remember to cut yourself off during the second half of your shift, or else you won’t be able to sleep when you get home. Pack your late-night meals and snacks before your shift. Going to the vending/snack machine for processed and sugary junk will backfire. It will impair your ability to stay awake and get work done. Fruits such as apples, oranges, and pineapples have natural sugars and carbohydrates that will balance your energy levels and keep you alert. Kratom is also a great choice for boosting your natural energy. Plus, it provides more energy boost per 1/2 cup than a bag of chips. There’s a mantra you can follow for getting breakthrough ideas: movement over meditation. The premise is simple. As beneficial as meditation is for self-awareness, self-knowledge, discovery, stress reduction, and a whole lot more, the physical act of moving puts you into direct action. You won’t find results by thinking about them. No matter what you do, all you need is 10 minutes of stretching or walking to keep yourself alert and fit for work. The important thing is to increase your heart rate, which inspires your energy levels and increases your blood circulation. When you get home, keep your room cool, dark, and quiet. After a long shift, we need at least 8 hours of thorough sleep to fully recharge. And this goes double for you after a night of working late. Otherwise, you could wear yourself out, making your work harder in the following days. We aren’t teenagers or college students pulling all-nighters anymore. Planning ahead and following these steps will keep you productive and energized through the night, without feeling like a zombie the day after.